These days, everyone has easy means to figure out if they not only have the passion, but also the eye for photography. Smartphones have allowed people to explore new avenues with the artform, but if you find yourself tumbling down the photographic rabbit hole, you’ve obviously toyed with the idea of getting a DSLR for yourself. But be warned, as someone who is so used to using compact and incredibly light smartphones to take photos, a DSLR, in contrast, is big and heavy. mirrorless cameras are in some ways, best of both the worlds for the given price. IF you have Rs. 60,000 to spend on a shiny new camera, here are some options, each of them being a great alternative to a full-sized DSLR. The Sony A6000 may be a few years old now, with newer models in the market (which are far more expensive), but it is still very much a wonderful shooting machine. Its 24-megapixel back-side illuminated APS-C sensor has great low light performance. When it was released, it was the Sony mirrorless camera flagship in the crop sensor category with its 11fps burst mode and stellar AF performance. The kit lens is a great piece of optic for beginners and Sony offers a vast portfolio of lenses for every kind of user. 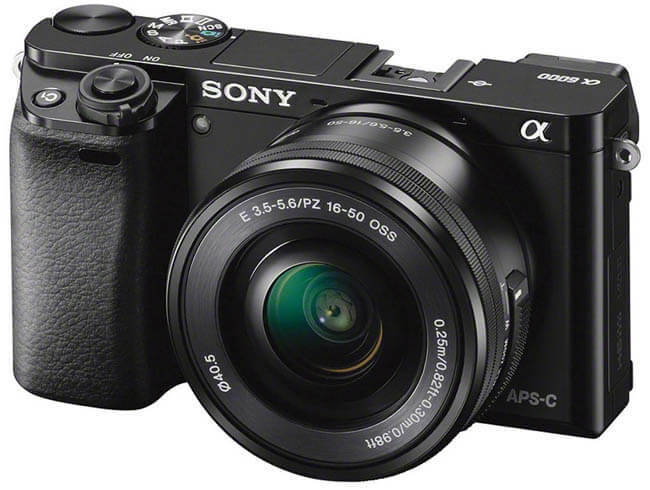 The best part, the Sony A600 can be bought on Amazon for Rs. 54,680 and on Flipkart for Rs. 44,989. The Amazon kit includes two lenses while Flipkart’s offering has only one, so choose accordingly. Olympus and Panasonic together created the micro four-thirds sensor for a mirrorless camera, along with being the first ones to introduce in-body image stabilization. This is a feature that no DSLR offers and if you want image stabilization, you’re going to have to invest in the more expensive variant of the lens. With the Olympus OM-D E-M10 MarkII (let’s just call it the E-M10 shall we? ), you won’t have to worry about buying lenses with image stabilization as the body will offer it anyway. The E-M10 has a 16-megapixel sensor, perfectly adequate even for poster-size prints. It’s not a flagship camera for Olympus, but even as their entry-level model, it is an incredibly refined piece of imaging gear. 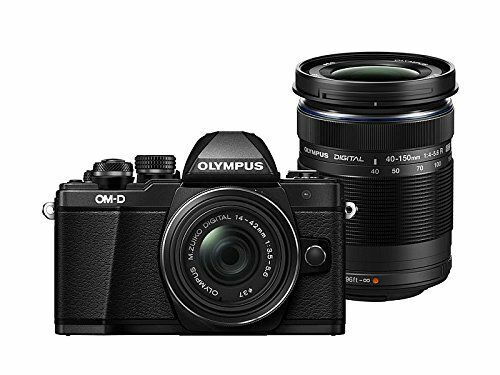 You can buy the Olympus OM-D E-M10 MarkII on Amazon for Rs. 57,990 with the 14-40 and 40-150mm lenses. 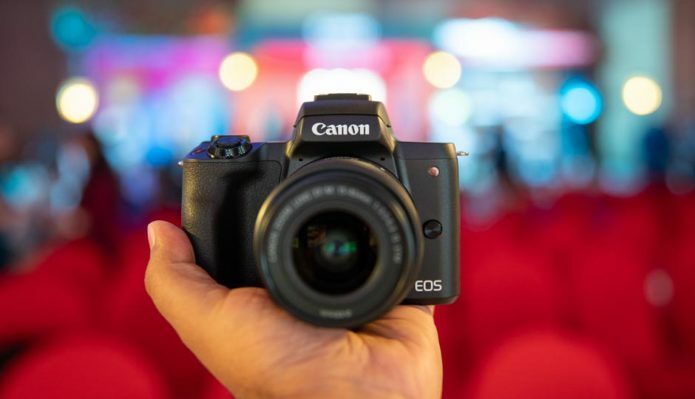 The Canon EOS M50 is Canon’s latest mirrorless camera and though not at the very top of Canon’s portfolio, it does offer some very interesting features. For starters, you get the ability to record 4K video in-camera. 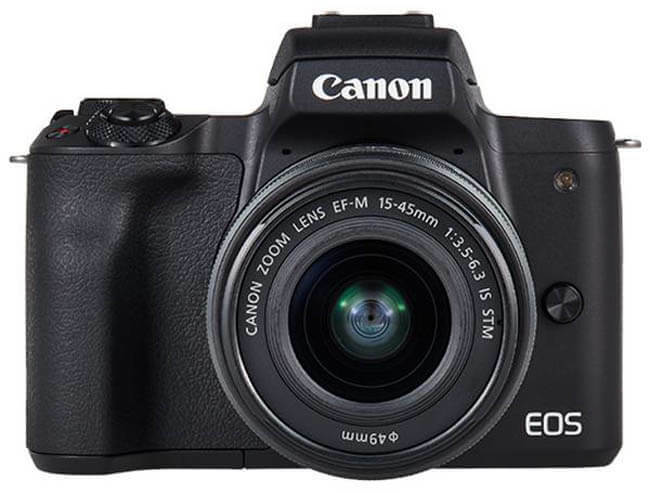 Not to mention, Canon allows you to use any of their lenses on the EO M50 by means of a lens converter which gives you 100% functionality of all the lenses. The M50 is incredibly compact and decently priced. Plus, you get a camera backed by Canon’s decades worth of imaging lineage. Currently, the camera is priced at Rs. 59,450 on Amazon, just a hair below our budget threshold. Fujifilm made a name for itself thanks to its unique X-Trans sensors, which employ randomized pixel placement on the sensor to generate unique colour tones and grain pattern. Unfortunately, the entry-level X-A3 does not come with an X-Trans sensor, but Fuji definitely knows how to make great imaging sensors. The Fujifilm X-A3 is definitely a very unique looking camera, blending the aesthetics of a rangefinder with a modern ergonomic layout. Fujifilm is known to make cameras that make people instantly fall in love with them, including this writer who’s used Fuji’s many cameras for over four years. Even though its an entry level camera, it is incredibly lightweight, with a 24-megapixel sensor and a 180-degree tilting touch-enabled LCD. All this along with the kit 16-50mm kit lens can be had for Rs. 47,999 from any one of the major retail electronics chains. The above four cameras are great to start off with, offering a great mix of performance, portability and convenience. Don’t stress about the year these cameras were released. The laws of physics are still the same, so you should still get reliable performance from each of these cameras, far better than a smartphone, and at par with a DSLR costing Rs. 60,000.